Today in Masonic History Christopher Houston "Kit" Carson is born in 1809. Christopher Houston "Kit" Carson was an American explorer, adventurer and solider. Carson was born in Madison County, Missouri. Carson's father was a veteran of the American Revolution and the War of 1812. Caron was the 11th child of his fathers 16 children. When Carson was 1 year old the family moved to Missouri and settled on a tract of land owned by Daniel Boone's sons. The Boone and Carson families became very close and at times intermarried. At the time the family was living in Missouri it was essentially the frontier. The cabin the family lived in was forted to protect against Indian attack and as the men worked in the field others were stationed around the perimeter with guns to protect the workers. At the age of 8 Carson's father died when he was a working in the field. A branch fell on him and he was killed instantly. The family had no money yet Carson's mother continued to care for the children on her own. About 4 years later Carson's mother married a widower. Carson did not get along with his step father so it was decided that Carson would be apprenticed to a saddler in Franklin, Missouri at the Eastern End of the Sante Fe Trail. Although Carson did not care for the work of a saddler, his mentor, David Workman, he had great respect for and would speak of him fondly in his memoirs. That was not enough to keep Carson in Missouri though. Against his Mother's wishes Carson headed west with a group of trappers abandoning his apprenticeship. Shortly after his departure Workman took out an ad requesting his return and offered a reward of one cent, no one claimed the reward. The ad was a joke and let Carson know that he was free to pursue his new life. When Carson arrived in Sante Fe in 1826 he settled in Taos and lived with Matthew Kinkead a trapper and explorer who served with Carson's brother in the War of 1812. Kinkead taught Carson the skills of trapper as well as the language of trapping. In the end Carson would know Spanish, Navajo, Apache, Cheyenne, Arapaho, Paiute, Shoshone and Ute. Carson was married three times and had 10 children. His first wife an Arapaho named Waanibe (singing grass). The two had two children Waanibe died giving birth and the second child only survived until the age of two. Their first, Adaline, was too young to stay with Carson who was living the life of a mountain man. Carson married a second time shortly after Waanibe's death, perhaps in an attempt to keep his children close. Caron's second wife was not happy with the arrangement and agreeable to Cheyenne custom divorced Carson by placing his belongings and children outside her tent. In 1842 Carson returned to Missouri to leave Adaline in the care of his sister before returning to Taos. There he met his third wife, Josefa Jaramillo, the couple would have 8 children. On Caron's trip to Missouri he met by chance John C. Frémont. Frémont was preparing an expedition to map the Oregon trail. After getting to know each other on the Riverboat they were both riding on, Carson offered his services. The two men would join forces for a second expedition and a third. On the third expedition that Frémont claimed was to "map the source of the Arkansas river", Frémont ordered the expedition west to California. There the expedition began working for President Polk in the days leading up to the Mexican-American War. During Carson's service in the Mexican-American War Frémont ordered Carson to do some unspeakable things which Carson seemed to regret in later life. 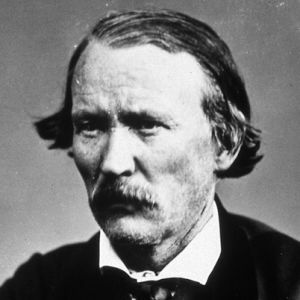 During the American Civil War Carson served in the New Mexico Territory for the Union Army and participated in the Battle of Valverde before redirecting his troops to the Navajo Wars. Carson was a member of Montezuma Lodge No. 109 in Sante Fe, New Mexico.